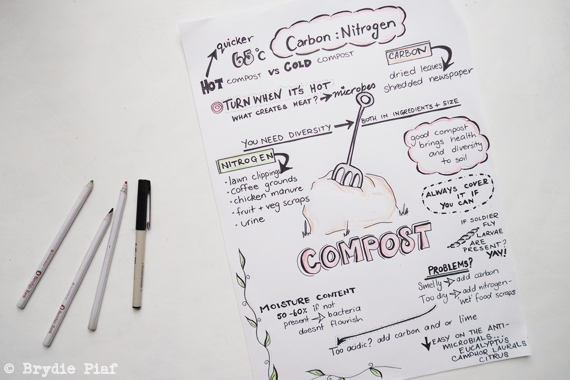 I did this poster for friends of ours recently, (old school method, pen and paper even) They were starting a compost system up and were asking for a few simple tips on getting it all up and running. I took that as a, yes, of course they would like it in an A3 poster format! 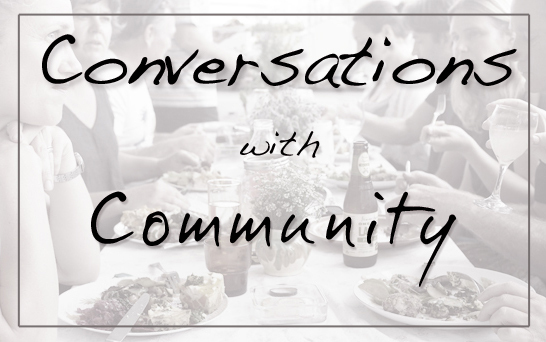 I also did a post on becoming a little geeky about the whole composting process over at Milkwood recently, if you would like to know a little more about the whole composting process. How about you? 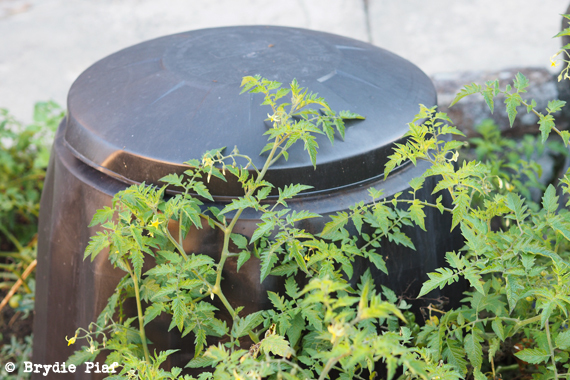 Do you have any tried and true composting methods? Or failures perhaps? 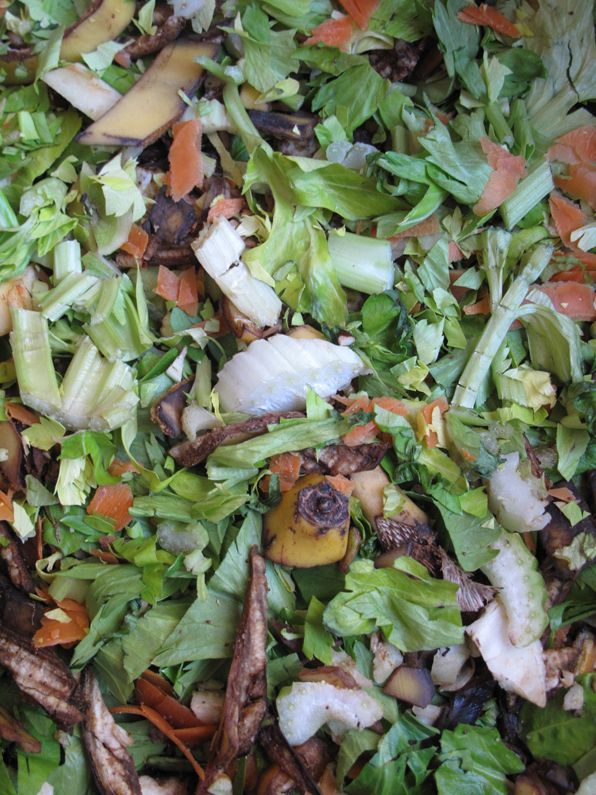 Any tales of composting woe that you’ve learnt great lessons from? 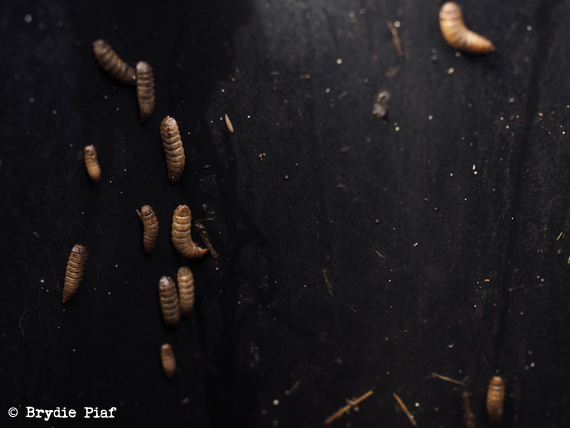 More composting details can be found here, and more information on those tiny compost friends Black Soldier Fly. They are incredible composters, excellent sources of protein, extremely polite by self harvesting themselves and might just be the alternate meat source that world wide dinner circles need to embrace. 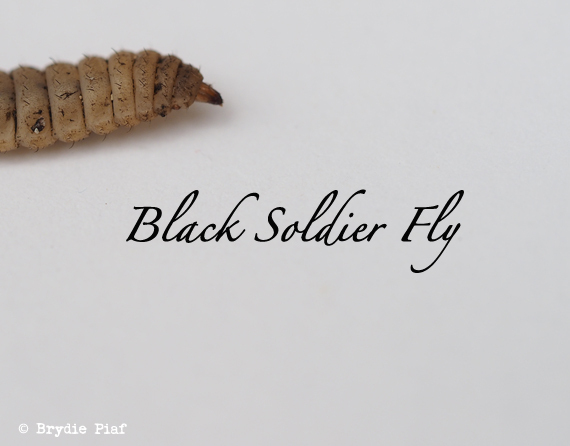 Say hello to the Black Soldier Fly. Now the title of this post doesn’t even particularly make sense but hey, it was that or March of the Soldier Fly…actually, on reflection the later was probably a better choice. 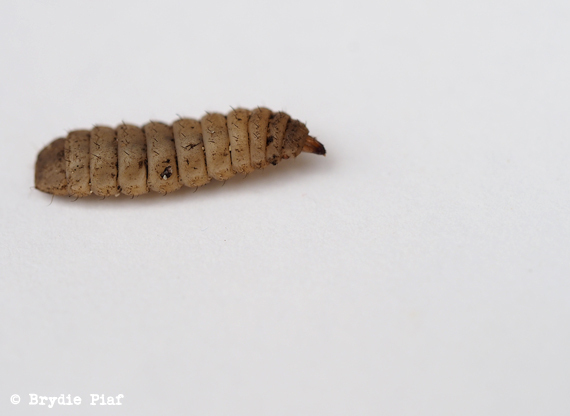 The short version was, what started as a small maggot problem with questionable outcomes, turns out is an excellent compost larvae friend of which I have inadvertently created a home for and is now looked upon as some prime utopian real estate for soldier fly larvae. Seriously, it really is the promised land for wriggly segmented critters. Now before I disgust some of you any further, and you click off for good let’s quickly recap on why these (quite incredible) critters are good for your compost, (and also why you should just skip to the acceptance and embracing stage of having them in your garden/compost/table and simply bypass the revulsion and dry gagging bit that I had to go through first. I mean really, just skip that bit, these guys are awesome. Black Soldier Fly are about half the size of a regular house fly, they also naturally keep away house flies- and that dear people is a good thing. They don’t mind it hot, actually the hotter the better. Anything upwards of 27C is going to show activity and humidity is apparently a big factor. Being in a black compost bin with the weather we’ve been having lately (rain++ and hot++) I’d say has had a big impact on their numbers. 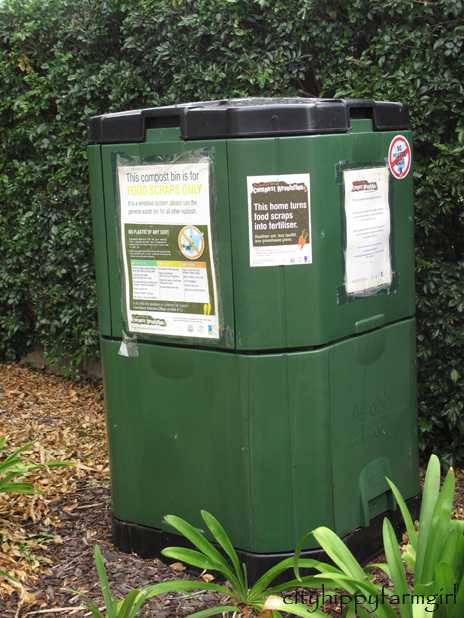 They are excellent composters due to playing a big part in contributing with decomposition and nutrient cycles. They are also rather excellent at aiding the bioconversion of organic waste material. They are a great form of protein. I’m not ready to get in there for that dinner plate just yet, but for animal feed, herptiles and tropical fish I say buon appetito. If you were keen on cooking up a little spagetti alle larvae, have a peek at this site, Farm 432. It’s a table top incubator essentially where you grow your own sustainable protein filled dinner. Protein wise they are filled with in terms of % and in comparison with their other insect counterparts, they are definitely front runners. They clean themselves just before they self harvest, plopping right over the side, ready to be scooped up. Now I’m absolutely fascinated by these critters, having watched their behaviour over the last couple of weeks, not understanding what was happening, seeing them explode in population, and reading up a lot. I’ve gone from dry gagging to grinning excitedly and holding them in my hands. And really, how exciting is learning something completely new eh. 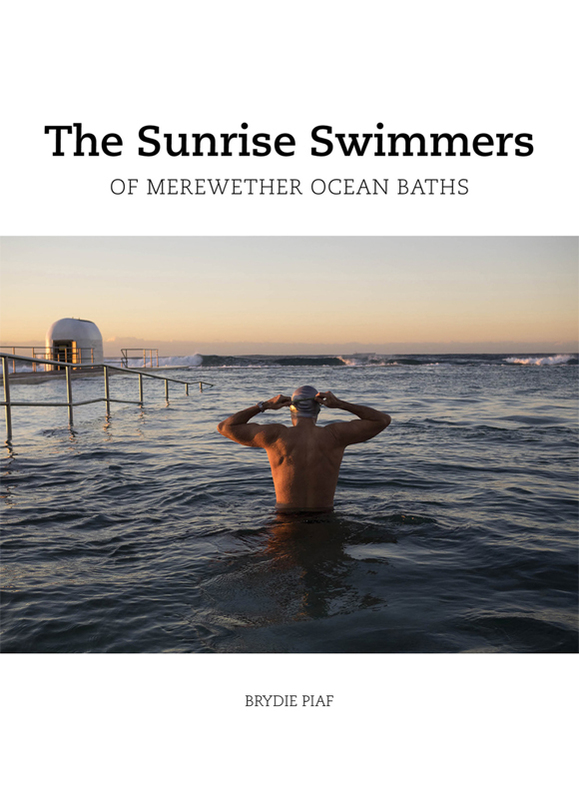 More fascinating reads found here. And a huge thank you to my mate Sarah who introduced me to these critters in the first place. Living in a flat sometimes you can be a little restricted with sort of pets you can have. Constrained because of space, landlords, body corporate, prying childrens fingers. All sorts of reasons. This pet ticks all those boxes though. It doesn’t need regular walks, doesn’t need a kitty litter tray, doesn’t hog the bed at night time, doesn’t chew furniture, doesn’t eat a lot, don’t need costly visits to the vet and doesn’t take much to set them up in their new home. So what pet is that? Actually a lot of them. The average household garbage is about 50% compostable. So instead of going to landfill it gets chewed up and turned into liquid gold by these little fellas. 1/ Needs a cool well shaded spot to sit in (easy for a flat or balcony). 3/ They don’t like eating acidic foods such as onion/ garlics/ citrus fruits. Also no meat/ grains or dairy. 4/ Worm farms shouldn’t smell. There should be a lovely earthy smell, if it does get a bit pongy (stinky) then just stop feeding them for a few days, let them break down the food a bit more. Loosen the food and castings- so its easier for them to manouvre through. 5/ The smaller you chop the food, the easier they can break it down. Saying that, you can also just throw in your scraps, it just takes a while longer to break down. 6/ You can toss in all your vegetable and fruit scraps, but can also pop in ripped up newspaper, soggy egg cartons, hair, tea bags, vacuum dust…. you can do dog poo, but not advised on using the worm castings for your plants afterwards though. 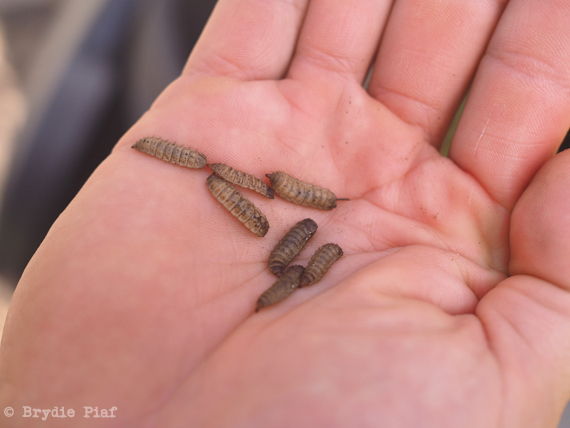 7/ The worm wee can be used as a fertilizer mixed with water. 1 part wee to 9 parts water, and then just watered in to your plants. Your plants will love you for it. 8/ If you were a fishing kind a person= live bait! 9/ Worms like a nice moist environment. The water from the scraps is generally enough to keep things at a moist level during cooler months. However during hotter weather, a little extra added water may be needed intermittently. Some moist newspaper on top of the food scraps (or a hessian bag) acts as a blanket and keeps things at a stable temperature. 10/ After the initial start up, there is no ongoing costly maintenance. 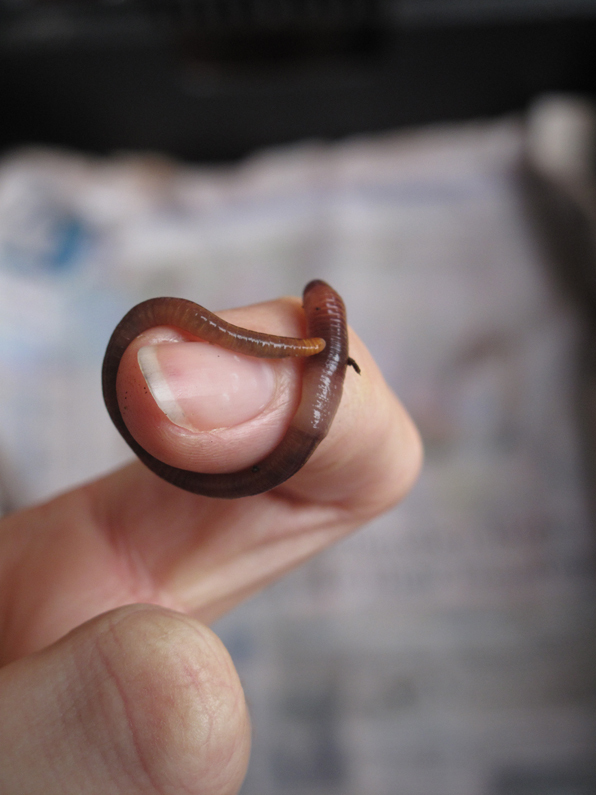 The worms continue to multiply (as long as they are fed) and you can’t have too many of the useful little critters.